San Francisco, CA, WalkMe, the leader in digital guidance and engagement, today announced the launch of WalkMe Apps™, a new free solution solving some of the toughest challenges that independent mobile app developers face. 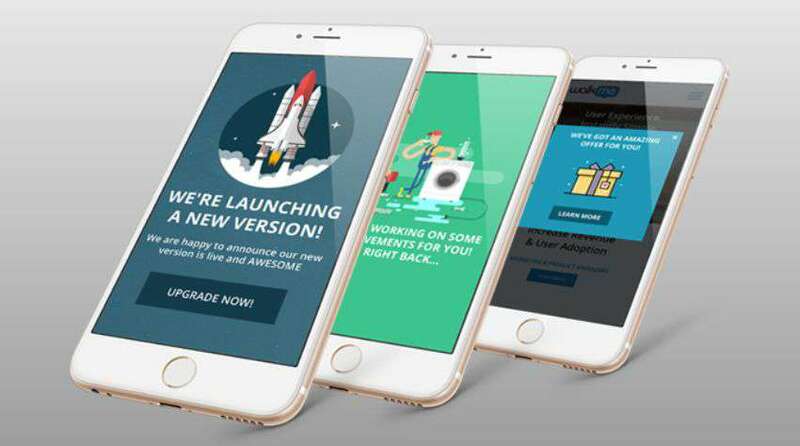 WalkMe Apps™ enable app developers to focus their attention on the development of core software while providing them with the necessary user and customer engagement tools – “applets” – to drive premium upgrades, monetization, boost user experience, reduce uninstalls, and improve app ratings. Applets are standalone onboarding, user engagement and monetization components that can be codelessly integrated into any app instantly, thereby accelerating the release cycle by negating the need to code new features and then re-submit the app to the App or Google Play store. Ensuring enterprise level products and support, WalkMe will continuously develop, support, and update all components in-house, while applying the company’s enterprise-grade scrutiny to each Applet. The result is a wide selection of components that can instantly ensure that a new app meets the highest industry standards in user engagement, dramatically increasing adoption rates, in-app purchases, and satisfaction. Additionally, WalkMe will allow developers to create their own applets for anyone to use. Being first to market can be the difference between a runaway success and a product that never gets used, but we as developers are being forced to choose between competing needs for speed and quality. Using WalkMe Applets means that independent developers will be able to release the highest quality product with the most advanced engagement tools without letting competitors beat them to the punch. WalkMe is the global leader in user guidance and engagement tools and has made a strong entry into the mobile space by enabling enterprise clients to improve customer engagement in mobile web activities. That experience and expertise will now guide the Applet program to bring the highest caliber engagement tools to mobile developers, allowing them to focus attention and resources on core features while still being able to provide a robust user experience. “WalkMe.Apps™ are built on the recognition that the mobile user experience is becoming increasingly critical and complex, and we want to help developers– to create the most impactful and effective mobile software possible,” concluded WalkMe CEO Dan Adika. WalkMe™ is a cloud-based enterprise class guidance and engagement platform. The context-intelligent platform guides users and drives them to action within any online experience. WalkMe’s platform is used by over 800 enterprise service providers and SaaS vendors, including many Fortune 500 companies. The Platform anticipates users’ needs and provides help exactly when and where they need it. WalkMe also drives users to action by highlighting new features and recommending relevant high-value offerings. WalkMe’s award-winning, context-intelligent technology boosts adoption by providing an effortless and personalized user experience. WalkMe is headquartered in San Francisco, California, and the company is backed by Mangrove Capital Partners, GizaVenture Capital, Gemini Funds, Scale Venture Partners and Greenspring Associates. WalkMe has also received widespread industry recognition and acclaim.